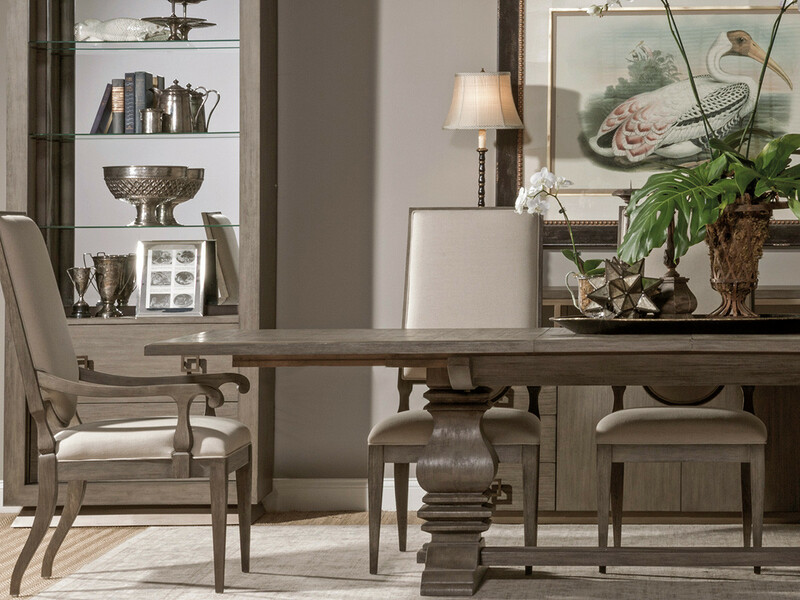 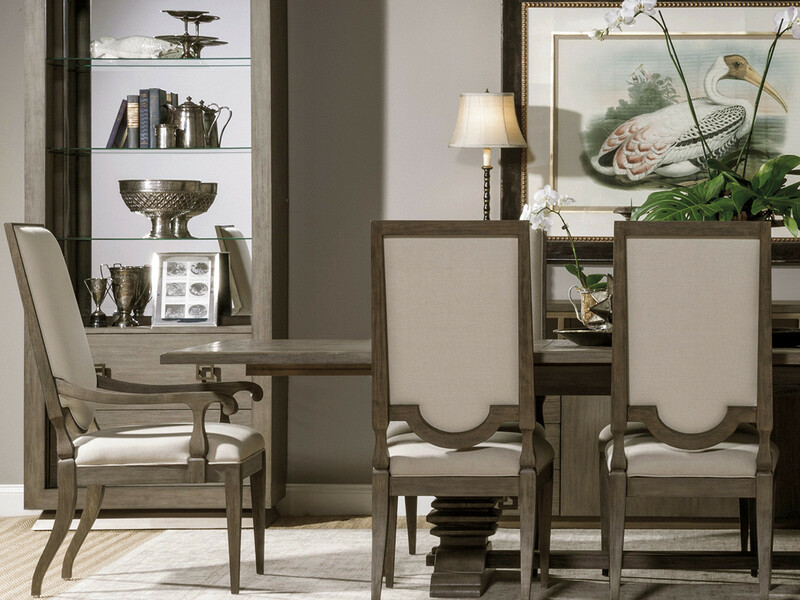 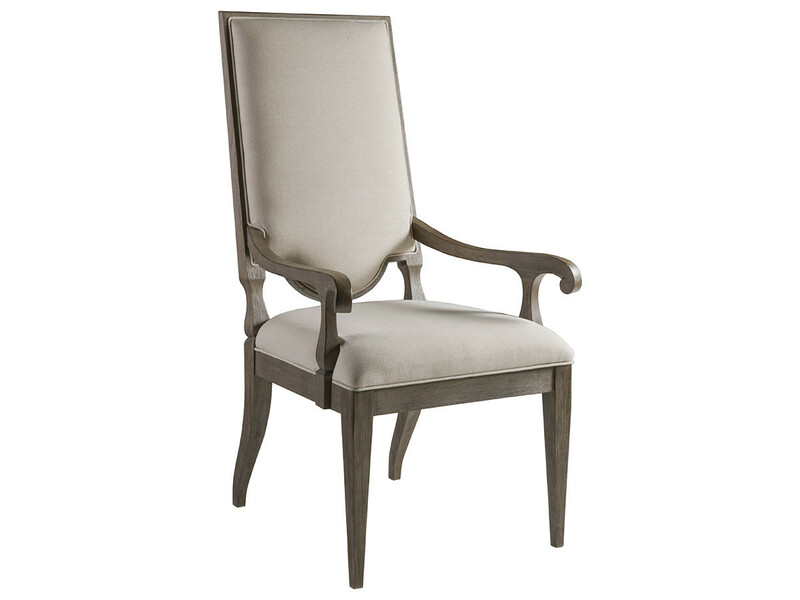 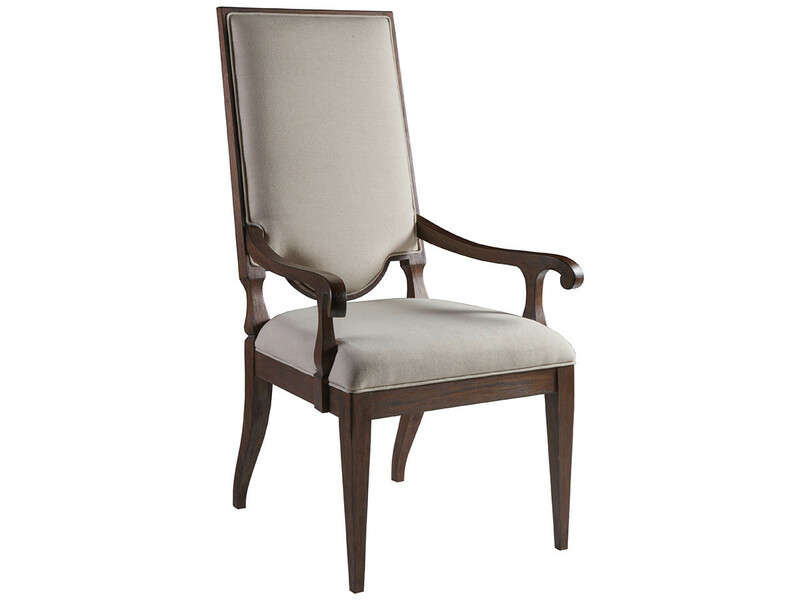 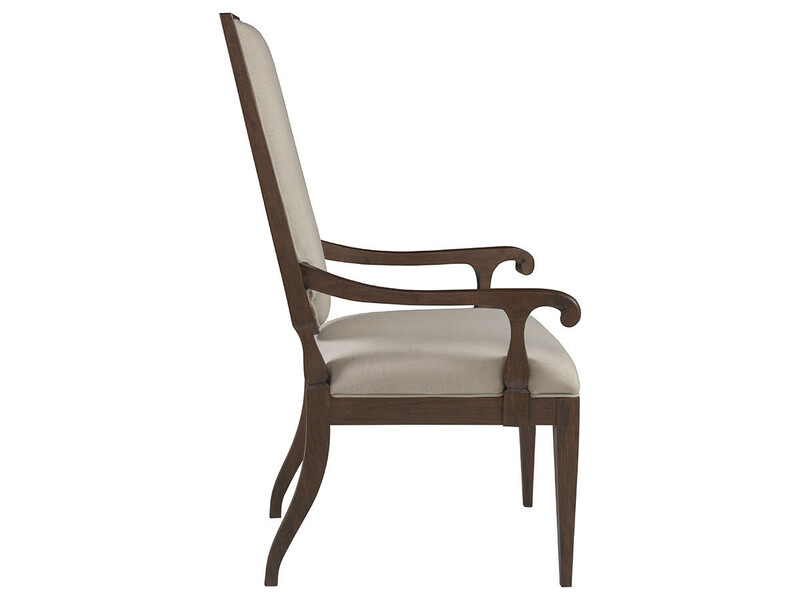 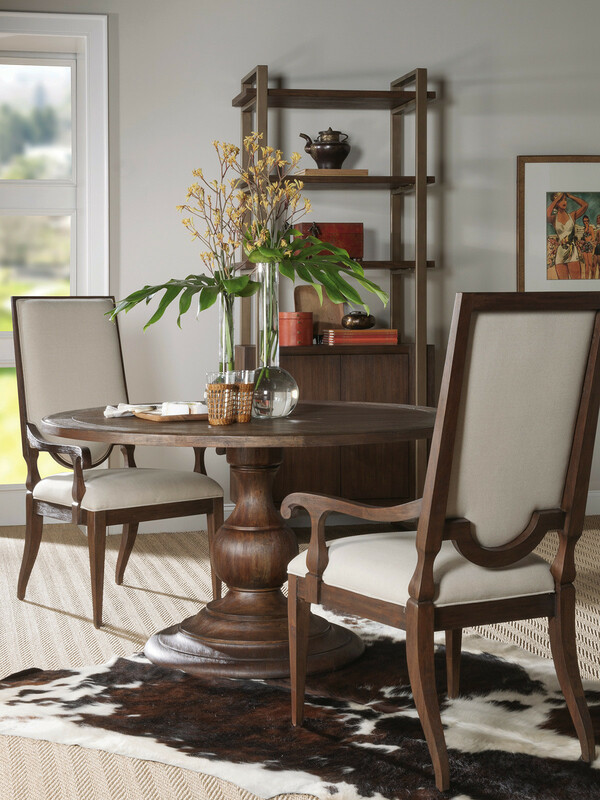 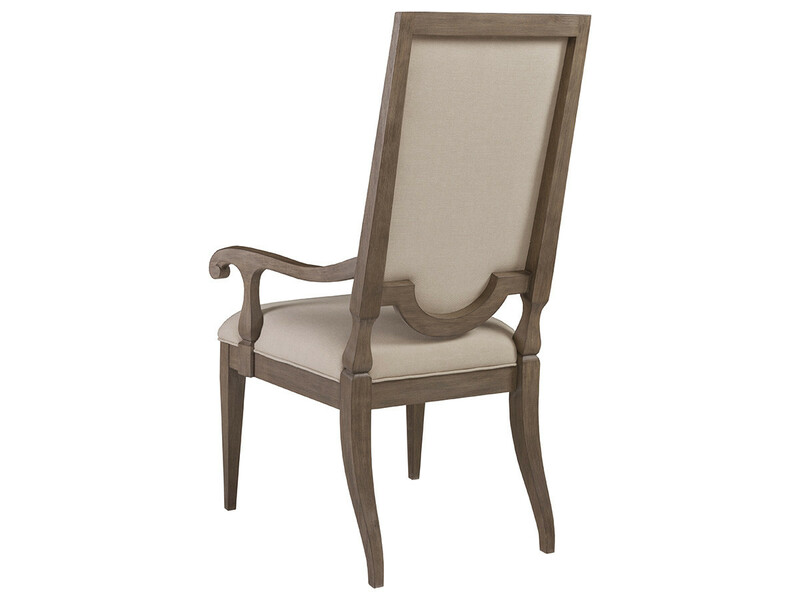 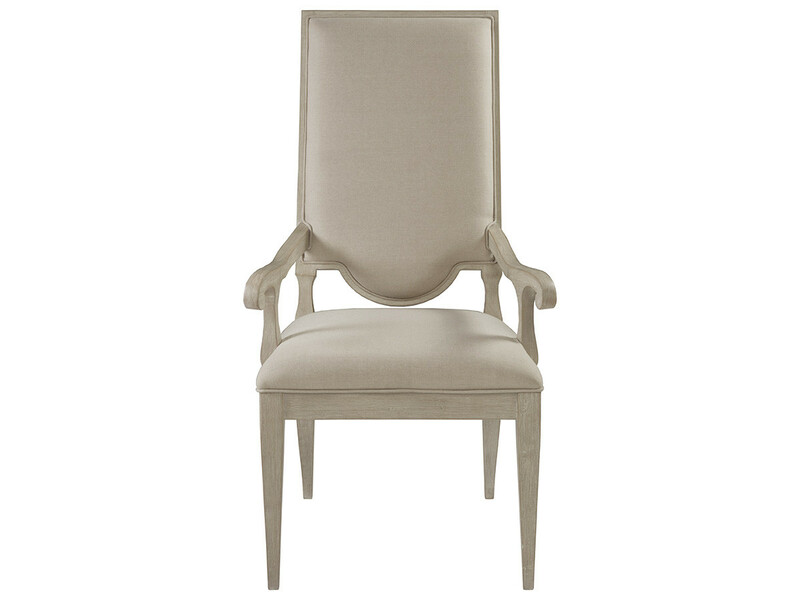 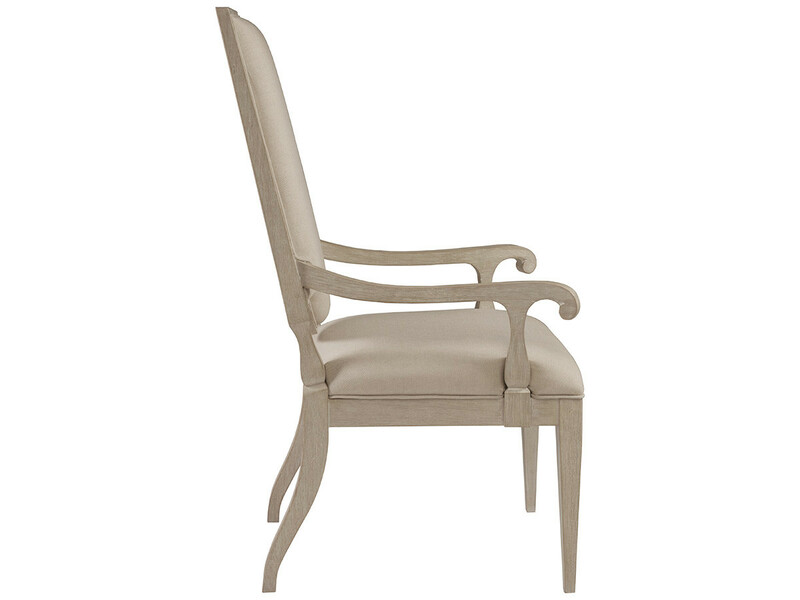 This exposed back arm chair features a fully upholstered seat and back in fabric 153671, a linen and cotton blend with a soft hand in a natural greige coloration. 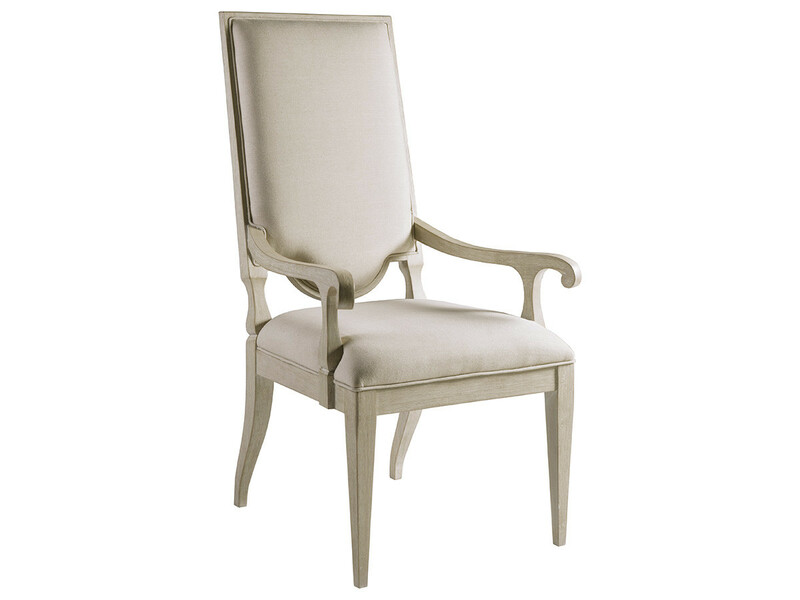 The white wash tone with wire brushing is the Bianco finish but it is available in all the Cohesion finishes. 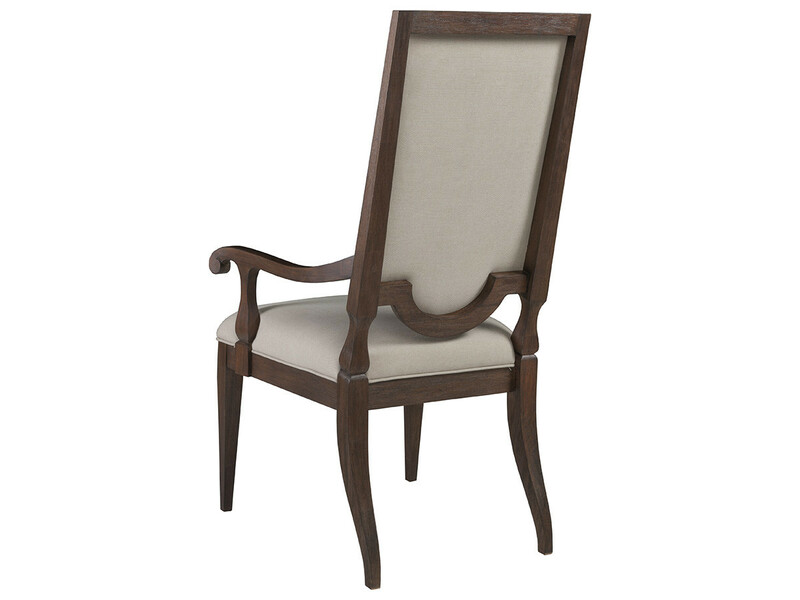 Dimensions: 25W x 26D x 46H in.